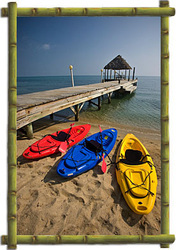 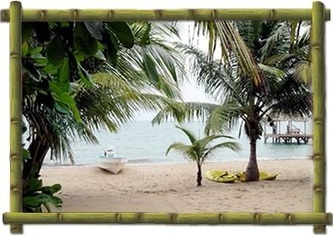 Parrot Cove Lodge "Our Belize Vacation" - "Our Belize Vacation"
Situated on the beach just south of the village of Hopkins, Parrot Cove Lodge is an adventure resort centrally located between the reef and the rainforest. Parrot Cove Lodge is the perfect location whether you are seeking offshore and inland adventures, or simply looking for rest and relaxation. 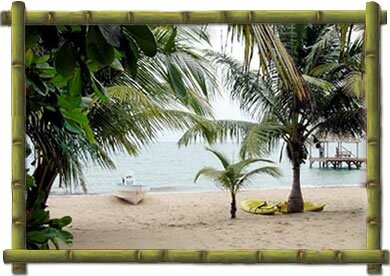 Come enjoy the Caribbean breeze under the open-air thatch roof of our pier or let your adventure begin as you explore the many wonders of Belize! 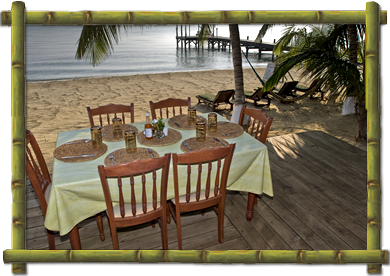 Come enjoy cuisines from one of the freshest restaurants of the Hopkins Belize Resorts. 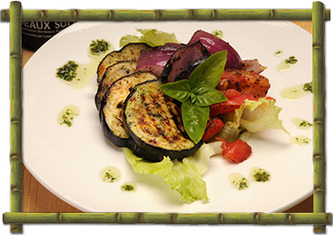 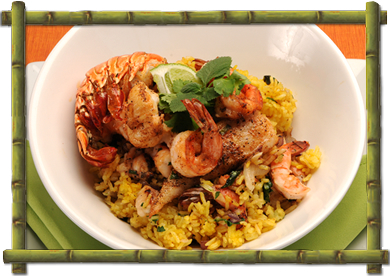 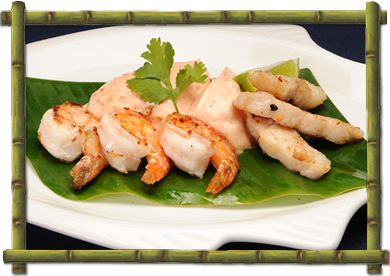 Scarlet Macaw restaurant is proud to serve gourmet organic meals using fresh local ingredients from the farm and sea. 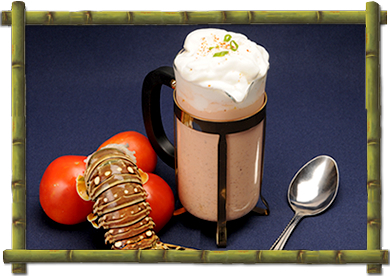 A delicious and healthy combination of flavors will delight your senses for breakfast, lunch, and dinner. Daily specials and seasonal menus reflect the high quality conscious cuisine found at Parrot Cove Lodge. Chef Adena Tucker will gladly accommodate any special request or dietary needs. 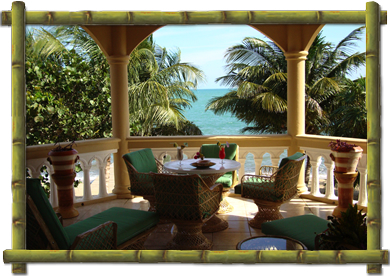 Come enjoy the picturesque view of the Caribbean Sea while dinning in paradise. 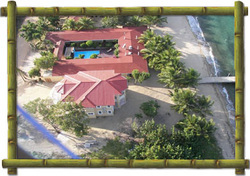 Our Hopkins Bay Resort is situated right on the beach, which makes Parrot Cove Lodge the ideal destination for a perfect Caribbean getaway. The beachfront is ideal for lounging, and the proximity to the Barrier Reef and atolls make diving and snorkeling accessible and convenient. 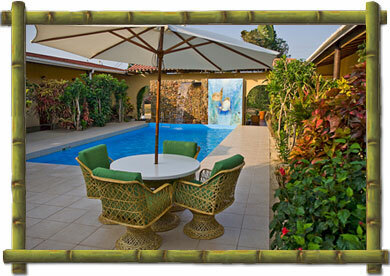 Hidden in the landscaped courtyard, the pool reflects the resort’s intimate atmosphere of a private retreat. 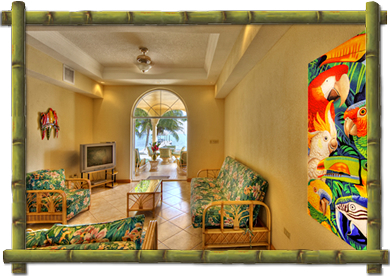 The waterfall tumbles over a mosaic mural of playful dolphins, the perfect spot for relaxing with a drink and a good book. 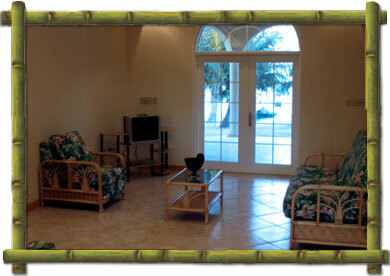 Our guests may now enjoy amenities at our sister locations Jaguar Reef Lodge and Almond Beach Resort in Belize. 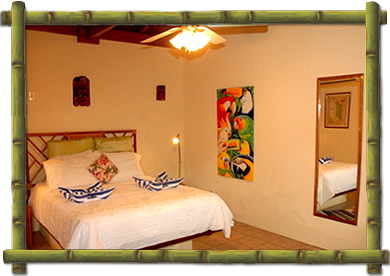 If you are looking for the full Hopkins Belize Hotel experience, then try out our premier beach house, located next door to the restor. It has two levels each with their own private entrances. 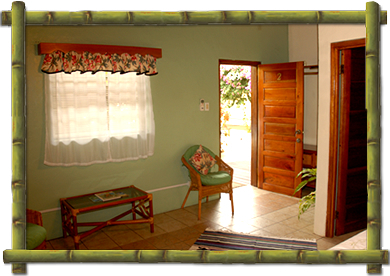 Each unit includes two bedrooms with king or queen bed in each, two bathrooms and a jacuzzi, kitchen, dining area and living room. The living room features a queen futon sofa sleeper. 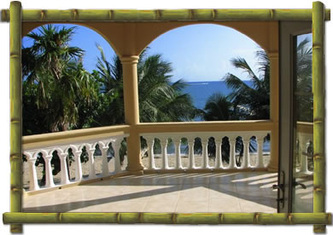 Every room in the beach house offers views of the Caribbean Sea. 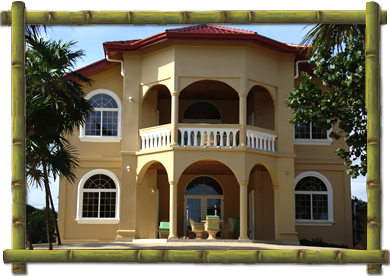 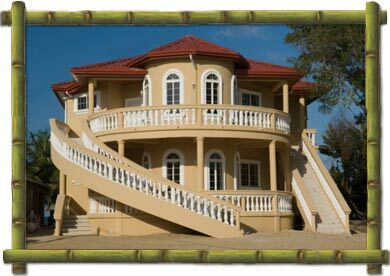 The spectacular views and spacious privacy, makes it feel like your own personal resort hotel in Hopkins Belize. 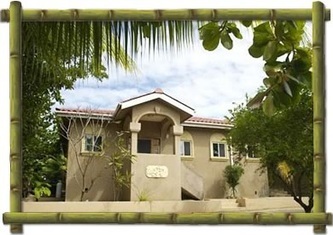 Each level sleeps 6 people and includes all the amenities of the resort property including satellite TV, fresh water pool, free use of bicycles and kayaks, snorkel gear and access to the restaurant and bar. Wireless Internet is available inside the resort restaurant and bar areas. If you are looking for private, relaxing Lodge, our villa is the ideal getaway. 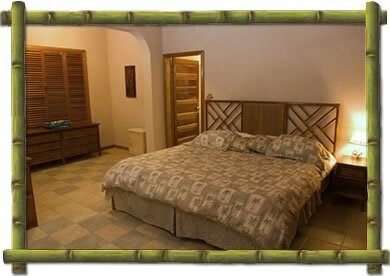 The room itself boasts a large bedroom with king-sized bed, perfectly spacious for your comfort. 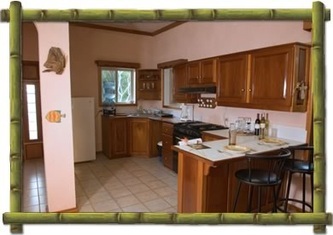 It has a complete kitchen with stove, refrigerator, microwave and air-conditioned comfort. 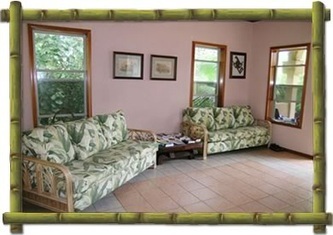 The living room has two futon sofa sleepers. 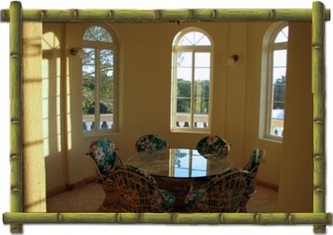 The villa can accommodate up to six people, and includes complimentary breakfast, and all amenities of the resort, giving you the feeling of your own personal Hotel in Hopkins Bay. Parrot Cove Lodge offers relaxing, tropical Lodge, our standard rooms have one queen-sized bed or two double beds with a sitting area and can accommodate two people. 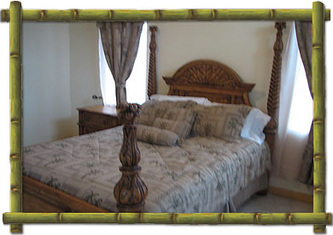 The suite has a queen-sized bed with the addition of one futon sofa bed and can accommodate up to four people. 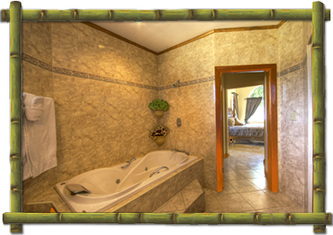 All rooms are air conditioned with private bath, and includes: coffee maker, TV with DVD player, clock radio/alarm.